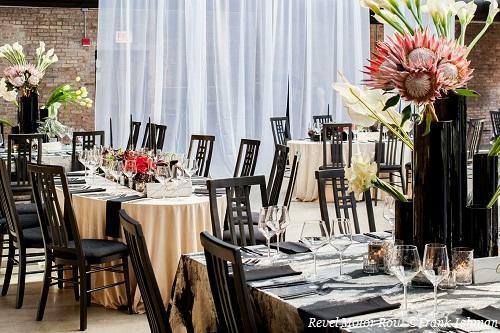 The transformation of a Chicago Motor Row District landmark into stunning private event space helps fuel a neighborhood renaissance. The Revel Group has renovated a historic building in Chicago’s Motor Row District near McCormick Place into a unique event space that marries history with modern amenities. Called Revel Motor Row, this new venue is a fantastic new option for meeting and event planners, and is a game-changer for the up-and-coming Motor Row District. 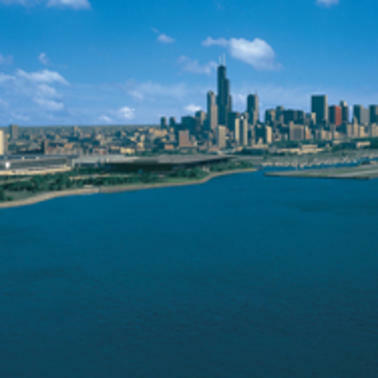 Located just west of McCormick Place on South Michigan Avenue is Chicago’s historic Motor Row District. Founded in the early 1900s, Motor Row got its name from the car companies that built some of their first-ever auto showrooms there, including Cadillac, Ford, Packard, and Hudson. At its peak, some 116 different models of cars were sold on Chicago’s Motor Row. Notable architects designed many of the buildings, which featured elaborate facades of carved stone and intricately scrolled ironwork. Chicago’s Revel Group has lovingly renovated one of these landmark structures (at 2400 S. Michigan Ave.), designed in 1936 by esteemed architect Philip Maher, and dubbed it Revel Motor Row. 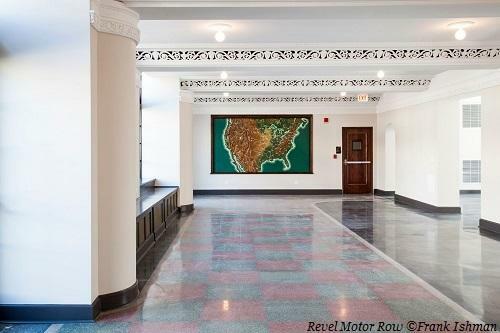 Initially built as the headquarters of the Illinois Automobile Club, in later years the building also housed the Chicago Defender, a prominent African-American newspaper that welcomed notable visitors such as Martin Luther King and John F. Kennedy. Through the years, the Spanish Revival-style structure retained much of its original charm, including beautiful stained glass windows and decorative woodwork. Revel also restored the adjacent former Cadillac showroom, the first in Chicago. 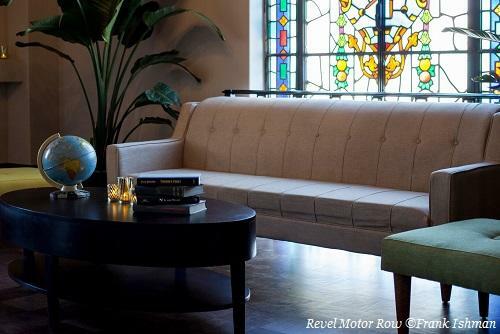 Today, Revel Motor Row offers 50,000 square feet of event space, made up of more than 20 versatile rooms and spaces named for classic cars (like Dussenberg and Rolls Royce). Some of the most unique spaces include a 4,000-square-foot outdoor courtyard that links to the adjacent 3,000-square-foot former Cadillac showroom, called The Garage at Revel Motor Row. 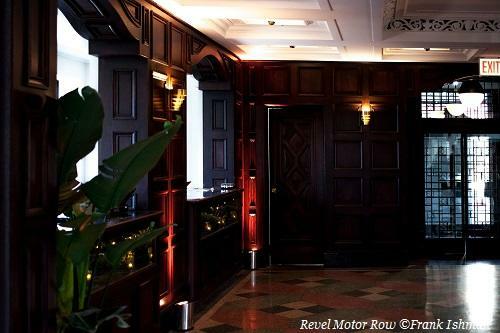 Revel Motor Row is perfect for corporate and special events, accommodating 2,600 for a full venue reception. Meeting space includes conference breakout rooms on the main floor that can accommodate up to 300 seated; and variable meeting and dining spaces on the second and third levels for up to 190 (including an ornate boardroom). The main floor accommodates up to 500 for a cocktail reception, with space for a stage and dance floor. Outdoors, the Cadillac Courtyard has space for 220 seated/500 reception. The intimate Garage at Revel Motor Row opens onto the Cadillac Courtyard. It’s perfect for a cocktail reception for 350 people; or a seated event for 180 people/280 theater-style. Revel Motor Row is an important player in the renaissance of Chicago’s historic Motor Row District. With businesses such as the popular Motor Row Brewing and Wintrust Arena on track to open in fall 2017, Motor Row is poised to become Chicago’s newest entertainment destination.